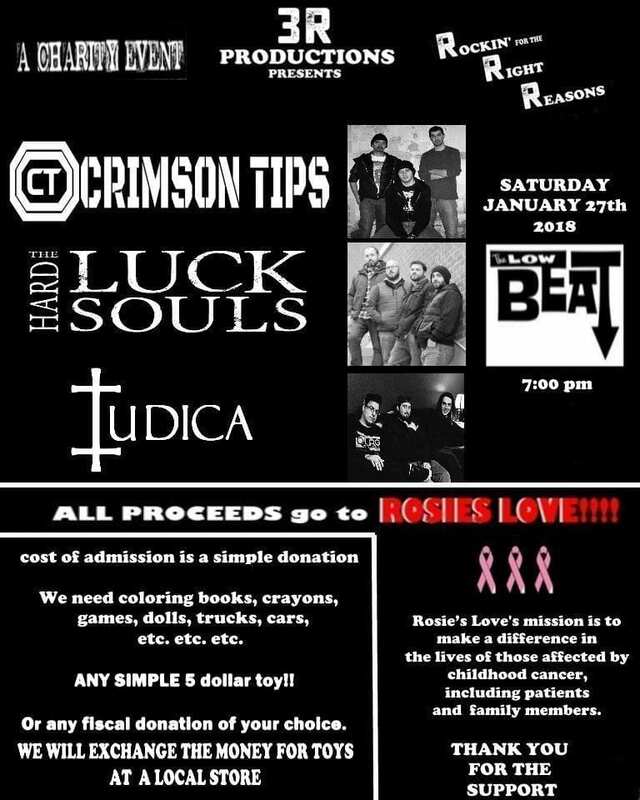 The legendary Low Beat in Albany will be hosting a benefit rock show on Saturday January 27th for the Rosie’s Love Foundation. The charity, which was established in 2000, supports families who are affected by the scourge of childhood cancer. 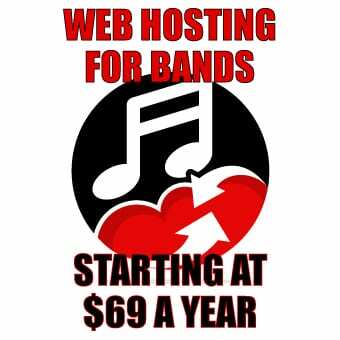 The benefit, which kicks off at 7:00PM, was organized by Albany’s own preeminent hard rock band, The Crimson Tips. 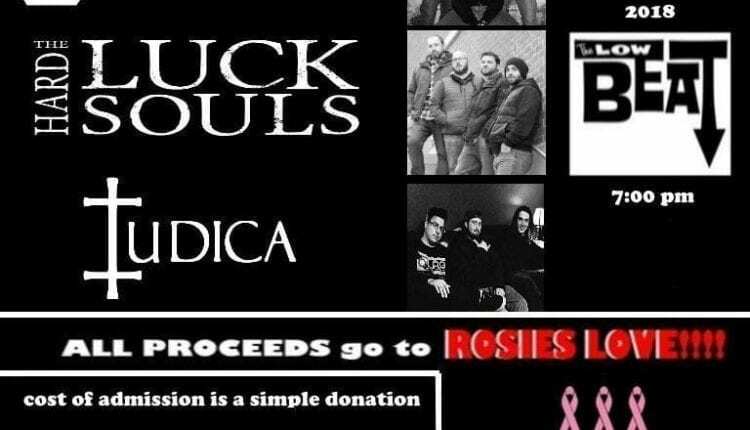 The bill additionally features homegrown hard rocking act, The Hard Luck Souls and Lake George based power trio Iudica wraps up the night’s festivities. The event is free but the organizers request that attendees offer a simple donation of a children’s toy or provide a financial donation to the foundation.